"New on DVD and Blu-ray this Week!" New on DVD this week, we have some highly-anticipated releases, and some wonderful throw-backs to the 70's. While The French Connection and Young Frankenstein are both incredible films, we have chosen the action-packed Captain America: The Winter Soldier as our Recommendation of the Week New Release: Captain America: The Winter Soldier – (Blu-ray, DVD and Instant) Ida – (Blu-ray, DVD and Instant) Willow Creek – (Blu-ray, DVD and Instant) Palo Alto – (DVD and Instant) Fed Up – (Blu-ray, DVD and Instant) God’s Pocket – (Blu-ray, DVD and Instant) Borgman – (Blu-ray, DVD and Instant) Korengal – (Blu-ray and DVD) Brick Mansions – (Blu-ray, DVD and Instant) Re-release: Young Frankenstein (1974) – (Blu-ray) The French Connection (1971) – (Blu-ray) Captain America: The Winter Soldier – (Blu-ray, DVD and Instant) *Recommendation of the Week* Directed by Anthony and Joe Russo Written by Christopher Markus (screenplay), Stephen McFeely (screenplay), Ed Brubaker (concept and story), Joe Simon (comic book) and Jack Kirby (comic book) Starring: Chris Evans, Scarlett Johansson, Anthony Mackie The long awaited sequel to the Captain America franchise was well worth the wait. 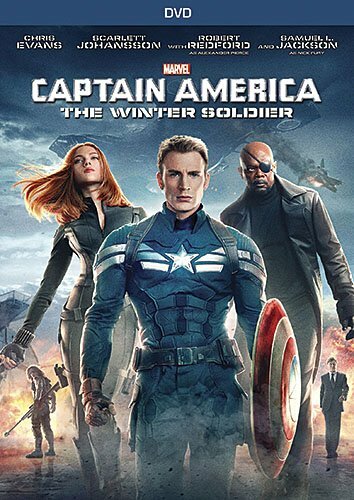 Packing even more outrageous comic book action as its predecessor, Captain America: The Winter Soldier is a wholly entertaining addition to the Marvel series. Critics Rating (Rotten Tomatoes): 89% (Very Good) Metacritic: 70 (Very Good) IMDB: 7.9 (Very Good) Entertainment Fuse: 8.5/10 (Read our review, or listen to our episode of The Plot Hole) DISC DETAILS Amazon: $17.96 (Blu-ray); $14.96 (DVD); $14.99 (Instant Buy) Ida – (Blu-ray, DVD and Instant) Directed by Pawel Pawlikowski Written by Pawel Pawlikowski (writer) and Rebecca Lenkiewicz (co-writer) Starring: Agata Kulesza, Agata Trzebuchowska, Dawid Ogrodnik Ida is the story of a young Catholic nun who is about to take her vows. 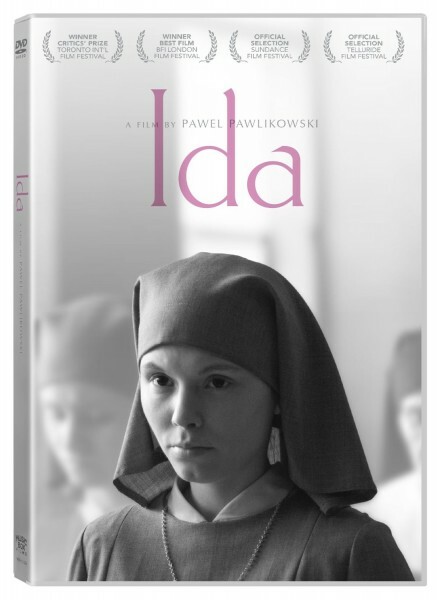 Upon discovering that she is of Jewish descent, her and her aunt begin to uncover the tragic history of their family before and after the Nazi occupation of Europe. 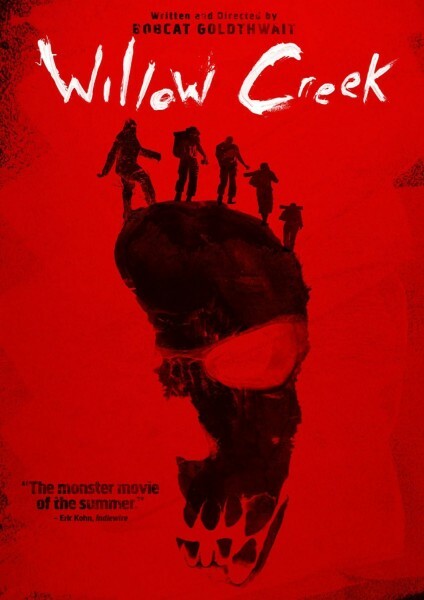 Critics Rating (Rotten Tomatoes): 95% (Excellent) Metacritic: 89 (Superb) IMDB: 7.5 (Very Good) DISC DETAILS Amazon: $31.44 (Blu-ray); $25.46 (DVD); $3.99/$12.99 (Instant Rent/ Buy) Willow Creek – (Blu-ray, DVD and Instant) Directed and written by Bobcat Goldthwait Starring: Alexie Gilmore, Bryce Johnson, Laura Montagna Bobcat Goldthwait (God Bless America, World's Greatest Dad) delivers a somewhat inconsistent, yet terrifying horror film with Willow Creek. Featuring Gilmore and Johnson as intrepid campers determined to discover Bigfoot, the two get much more than they bargained for. Critics Rating (Rotten Tomatoes): 88% (Very Good) Metacritic: 62 (Good) IMDB: 5.4 (Okay) Entertainment Fuse: 7.5/10 (read our review) DISC DETAILS Amazon: $15.98 (Blu-ray); $21.23 (DVD); $3.99/$7.99 (Instant Rent/ Buy) Palo Alto – (DVD and Instant) Directed by Gia Coppola Written by Gia Coppola (screenplay) and James Franco (short stories) Starring: James Franco, Emma Roberts, Jack Kilmer Emma Roberts stars as the class virgin and soccer star who begins a flirtatious relationship with her coach, Mr. B (Franco). Torn between her older coach and her crush, Teddy (Kilmer), their lives descend into chaos as one party blends into the next, and Teddy's friend Fred begins to go off the rails. 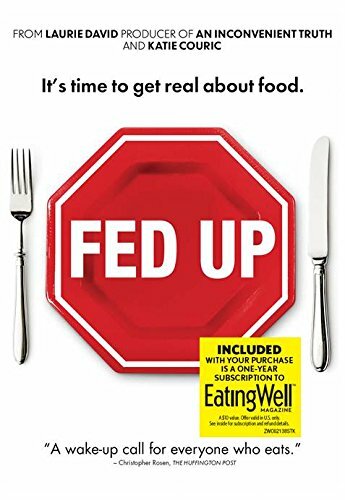 Critics Rating (Rotten Tomatoes): 72% (Good) Metacritic: 69 (Good) IMDB: 6.5 (Good) DISC DETAILS Amazon: $12.99 (DVD); $3.99/$12.99 (Instant Rent/ Buy) Fed Up – (Blu-ray, DVD and Instant) Directed by Stephanie Soechtig Written by Mark Monroe, Stephanie Soechtig Starring: Michele Simon This Katie Couric produced documentary focuses on the obesity epidemic in America, and the food corporations that help fuel it. Critics Rating (Rotten Tomatoes): 82% (Very Good) Metacritic: 71 (Very Good) IMDB: 7.4 (Very Good) DISC DETAILS Special Features: Deleted scenes Amazon: $25.49 (Blu-ray); $9.96 (DVD); $3.99/$12.99 (Instant Rent/ Buy) Score (DVDTalk.com): Content: 4 stars(out of 5); Video: 4 stars; Audio: 4 stars; Extras: 1 stars; Replay: 3.5 stars. Highly Recommended. 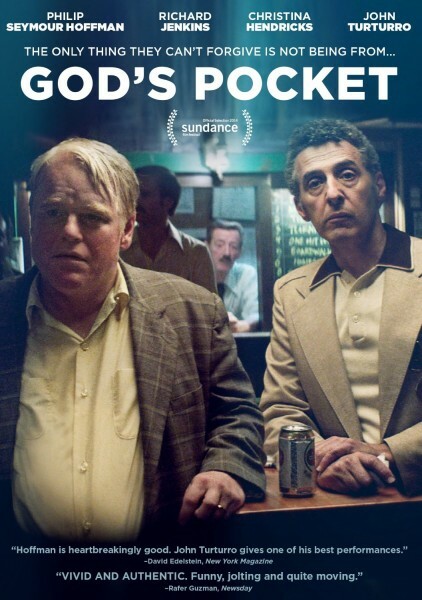 God’s Pocket – (Blu-ray, DVD and Instant) Directed by John Slattery Written by Peter Dexter (novel), Alex Metcalf (screenplay) and John Slattery (screenplay) Starring: Philip Seymour Hoffman, Christina Hendricks, John Turturro When Micky Scarpato's (Hoffman) wild stepson is killed in a construction “accident”, no one in the blue collar town of God's Pocket seems to care. When a local journalist begins to look into the untimely death, Micky's life goes from bad to worse. 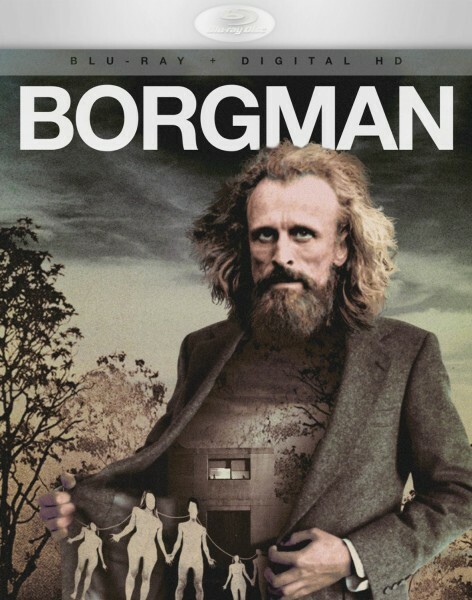 Critics Rating (Rotten Tomatoes): 34% (Very Bad) Metacritic: 51 (Okay) IMDB: 6.2 (Good) DISC DETAILS Amazon: $27.98 (Blu-ray); $19.99 (DVD); $3.99/$14.99 (Instant Rent/ Buy) Borgman – (Blu-ray, DVD and Instant) Directed and written by Alex van Warmerdam Starring: Jan Bijvoet, Hadewych Minis, Jeroen Perceval An upper class family takes in a wandering vagrant and it turns their lives inside out. Haunting and gripping, this Dutch surrealist film leaves its audience stunned. Critics Rating (Rotten Tomatoes): 82% (Very Good) Metacritic: 71 (Very Good) IMDB: 7.4 (Very Good) DISC DETAILS Amazon: $27.98 (Blu-ray); $22.49 (DVD); $3.99/$14.99 (Instant Rent/ Buy) Korengal – (Blu-ray and DVD) Directed by Sebastian Junger Starring: LaMonta Caldwell, Miguel Cortez, Stephen Gillespie Picking up where the award-winning Restrepo left off, Korengal features many of the same brave soldiers fighting in the same deadly valley in Afghanistan. 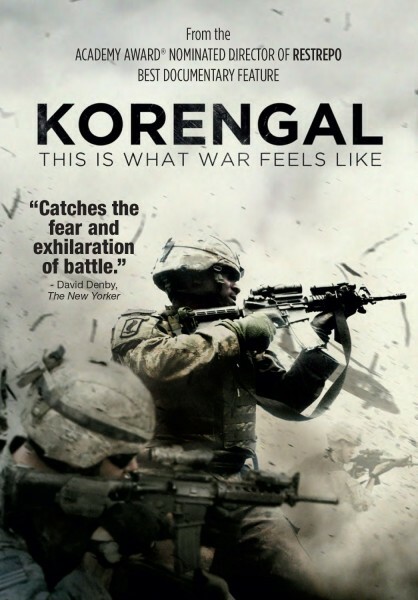 Offering a new take on war, Korengal explores how war is fought and what it means to the young men who serve. 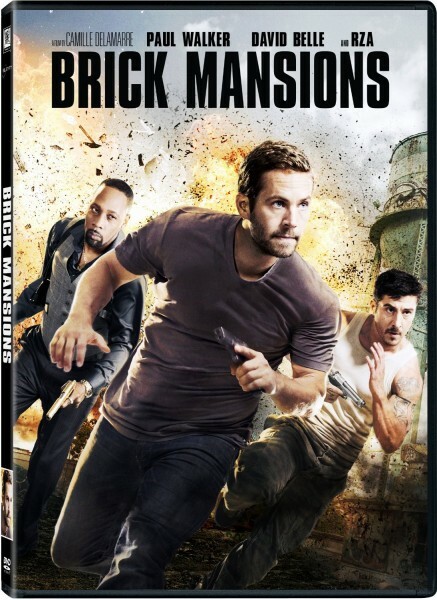 Critics Rating (Rotten Tomatoes): 85% (Very Good) Metacritic: 67 (Good) IMDB: 6.5 (Good) DISC DETAILS Amazon: $15.98 (Blu-ray); $14.99 (DVD) Brick Mansions – (Blu-ray, DVD and Instant) Directed by Camille Delamarre Written by Luc Besson (screenplay, and District 13 screenplay) and Bibi Naceri (District 13 screenplay) Starring: Paul Walker, David Belle, RZA In Paul Walker's final non-Fast and Furious role, he plays Detective Damien Collier in a post-apocalyptic Detroit. Going undercover, Collier is determined to bring down a notorious crime boss in this District 13 remake. Critics Rating (Rotten Tomatoes): 26% (Very, Very Bad) Metacritic: 40 (Bad) IMDB: 5.7 (Okay) DISC DETAILS Amazon: $19.99 (Blu-ray); $14.99 (DVD); $4.99/$12.99 (Instant Rent/ Buy) Re-release: Young Frankenstein (1974) – (Blu-ray) Directed by Mel Brooks Written by Mel Brooks (screen story and screenplay), Gene Wilder (screen story and screenplay) and Mary Shelley (Frankenstein novel) Starring: Gene Wilder, Peter Boyle, Madeline Kahn, Marty Feldman Mel Brooks' hilarious adaptation of the famous Frankenstein story. The grandson of the notorious doctor (Wilder) returns to his grandfather's lab in an attempt to recreate his monster. Critics Rating (Rotten Tomatoes): 94% (Excellent) Metacritic: N/A IMDB: 8.1 (Excellent) Entertainment Fuse: 9/10 DISC DETAILS Amazon: $9.99 (Blu-ray) Score (DVDTalk.com): Content: 4.5 stars(out of 5); Video: 4.5 stars; Audio: 3.5 stars; Extras: 4.5 stars; Replay: 4 stars. Highly Recommended. The French Connection (1971) – (Blu-ray, DVD and Instant) Directed by William Friedkin Written by Ernest Tidyman (screenplay), Robin Moore (based on the book by) and Howard Hawks (uncredited) Starring: Gene Hackman, Roy Scheider, Fernando Rey This classic 1970's police thriller from director William Friedkin (The Exorcist, Sorcerer) details the true-life exploits of New York City police taking on a world-wide heroin distributer. 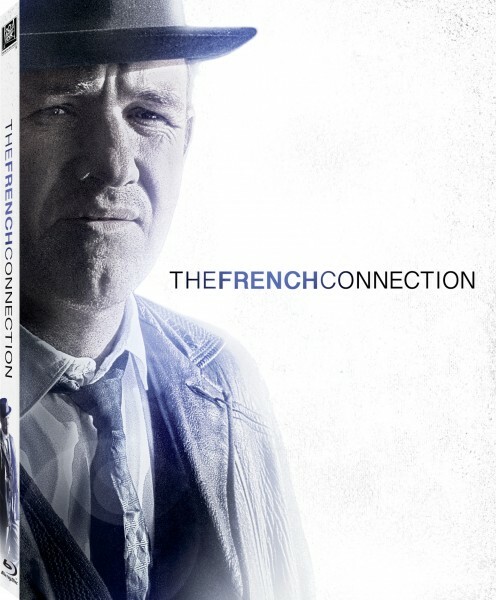 Full of extended car chases, and gritty, sarcastic dialogue, The French Connection is an indelible piece of cinema history. Critics Rating (Rotten Tomatoes): 98% (Superbly Superb) Metacritic: 96 (Damn Good) IMDB: 7.8 (Very Good) Entertainment Fuse: 9.5/10 DISC DETAILS Amazon: $12.79 (Blu-ray) Score (DVDTalk.com): Content: 5 stars (out of 5); Video: 4 stars; Audio: 3.5 stars; Extras: 4 stars; Replay: 5 stars. Highly Recommended.